We love catching up with our alumni and seeing their success on tricky projects. 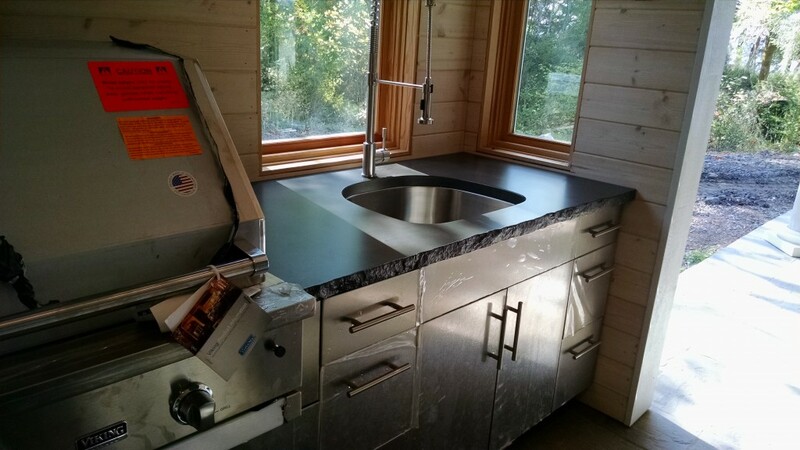 CCI alumnus Mark Schreck of Mark Schreck Concrete Designs in Olympia, WA recently completed a gorgeous outdoor kitchen for a house on the Puget Sound. We are pleased to be able to share some of his story and photos of this amazing project here. Great work Mark; thanks for sharing! While Mark loved the freedom this project afforded, he found himself worrying about the choices he made. He knew that he loved the project and eagerly hoped his clients would too. 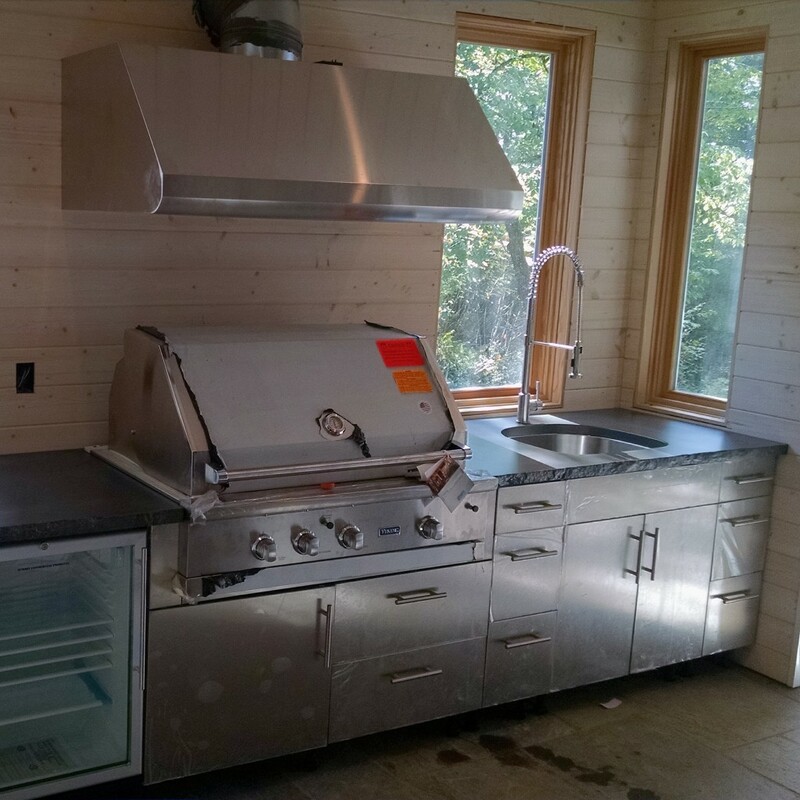 The outdoor kitchen was in a large, upscale home, and he knew that this project could make or break his business. 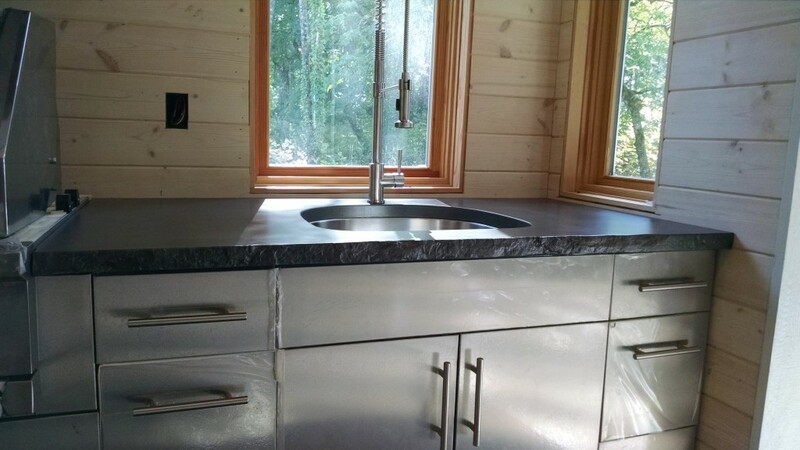 The clients were ecstatic with what he created and have enlisted his help creating a wet bar, desk, 2 bathroom countertops, and a 7’ diameter outdoor table (you can see the progress on this stunning table on Mark’s business’ Facebook page). Mark has found that his training with CCI has been a huge asset for avoiding mistakes and ensuring that each job is a success. When he attended the Ultimate Class with us about 2 years ago he had zero concrete experience, not even a mix design. During the course he learned what he needed to do to get started and came home and jumped right in.